As Callum M. Roberts reveals in The Unnatural History of the Sea, the oceansвЂ™ bounty didnвЂ™t disappear overnight. While todayвЂ™s fishing industry is ruthlessly efficient, intense exploitation began not in the modern era, or even with the dawn of industrialization, but in the eleventh century in medieval Europe. Roberts explores this long and colorful history of commercial fishing, taking readers around the world and through the centuries to witness the transformation of the seas. Drawing on firsthand accounts of early explorers, pirates, merchants, fishers, and travelers, the book recreates the oceans of the past: waters teeming with whales, sea lions, sea otters, turtles, and giant fish. 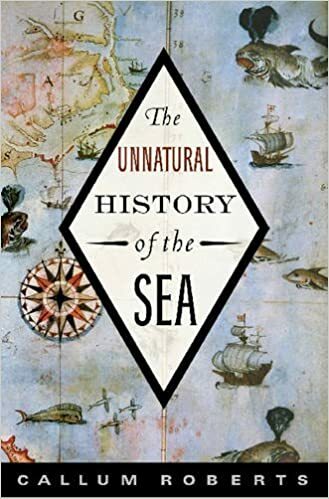 The abundance of marine life described by fifteenth century seafarers is almost unimaginable today, but Roberts both brings it alive and artfully traces its depletion. Collapsing fisheries, he shows, are simply the latest chapter in a long history of unfettered commercialization of the seas. The story does not end with an empty ocean. Instead, Roberts describes how we might restore the splendor and prosperity of the seas through smarter management of our resources and some simple restraint. From the coasts of Florida to New Zealand, marine reserves have fostered spectacular recovery of plants and animals to levels not seen in a century. They prove that history need not repeat itself: we can leave the oceans richer than we found them.